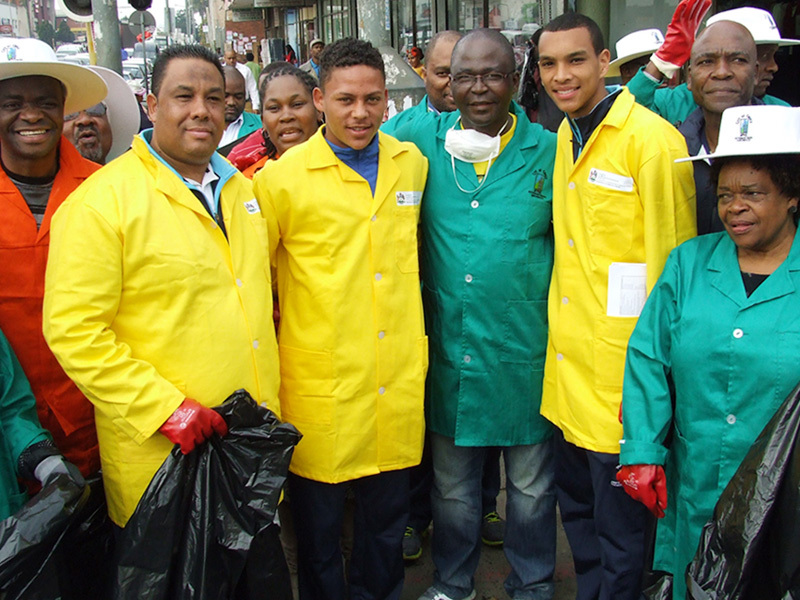 Maritzburg United honoured the Mandela Day 67 minutes campaign by taking part in a clean up in the city centre on Friday. In the picture above are Quintin Jettoo, General Manager, Ayren Bond, Player, Mayor of Pietermaritzburg, Cllr Chris Ndlela, Ryan Moon, Player, and Honourable Speaker of KZN Legislature, Lydia Johnson. 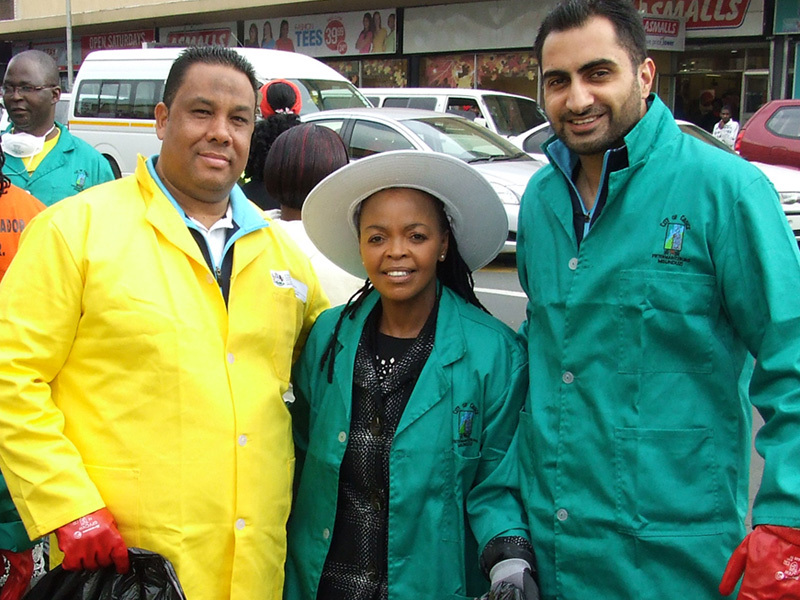 Quintin Jettoo and Commercial Manager Younus Kadodia with top business woman, and former president of the Pietermaritzburg Chamber of Business, Zinhle Sokhela. 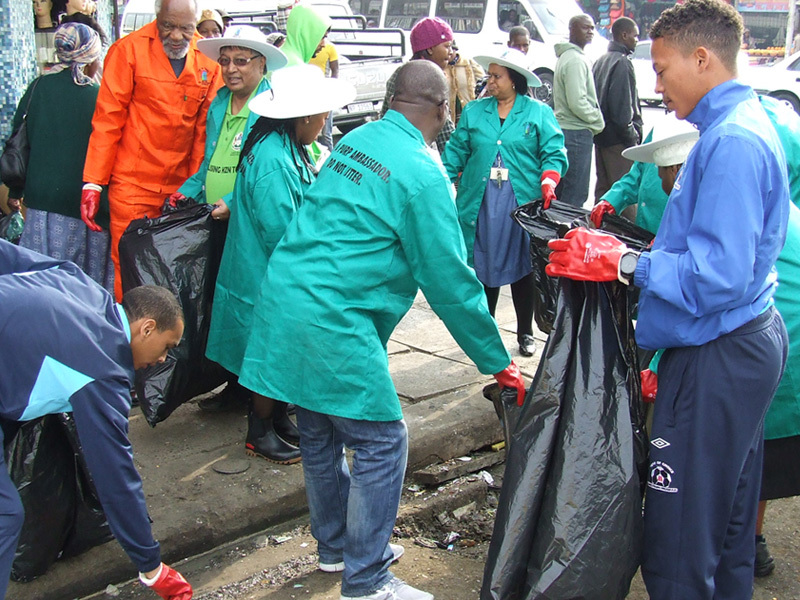 Ayren and Ryan getting dirty with the Mayor during the Mandela Day clean up Campaign in the streets of Pietermaritzburg.